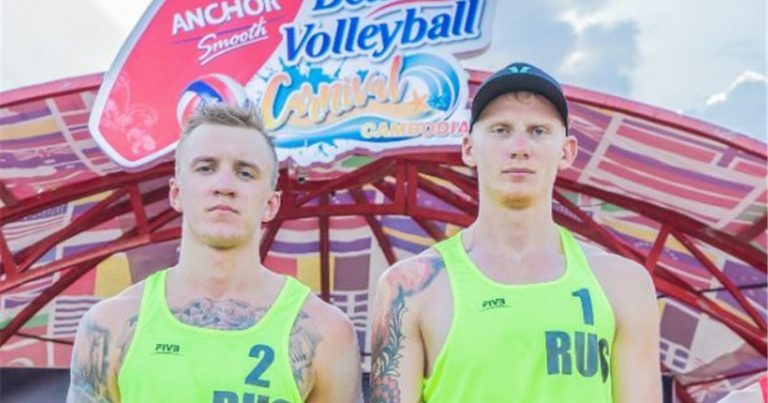 Siem Reap, Cambodia – The third of four stops in Cambodia on the 2018-2019 FIVB World Tour calendar begins here Thursday as the event features four men’s teams that have captured gold medals this season on the international Beach Volleyball circuit. A resort town in northwestern Cambodia, Siem Reap is the gateway to the ruins of Angkor, the seat of the Khmer kingdom from the 9th–15th centuries. Angkor’s vast complex of intricate stone buildings includes preserved Angkor Wat, the main temple, which is pictured on Cambodia’s flag. The US$25,000 Anchor Beach Volleyball Carnival begins Thursday with qualifying Thursday leading to Friday’s pool matches followed by the weekend elimination rounds where the winning team will share the $4,000 first-place prize in the 15th men’s event on the 2018-2019 FIVB World Tour calendar. 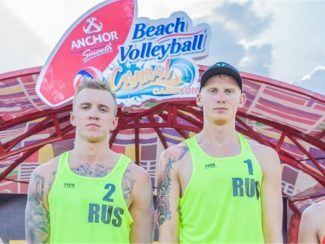 Teams entered in this week’s Anchor Beach Volleyball Carnival with gold medals to their credit this season are Bahman Salemi/Arash Vakili of Iran (October 5 at Bandar Torkaman, Iran), Aliaksandr Dziadkou/Pavel Piatrushka of Belarus (December 2 at Ljubljana, Slovenia), Armin Dollinger/Simon Kulzer, Germany (March 2 at Visakhapatnam, India) and Maxim Sivolap/Artem Yarzutkin of Russia (March 10 at Kg Speu). Following this week’s stop in Siem Reap, the FIVB World Tour takes a week’s break before resuming play at Battambang. The international circuit remains in Asia following the Cambodian events with double gender stops in Thailand (April 8-11 at Satun) and Malaysia (April 11-14 at Langkawi) before heading to Europe for an April 18-21 tournament for both men and women in Göteborg, Sweden.